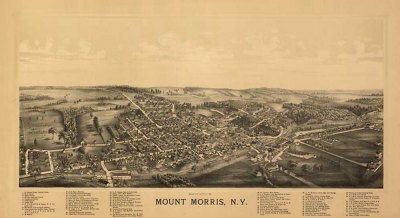 This richly detailed print gives a bird’s-eye view of Mount Morris as it looked in the late 1800s. Meticulously rendered and now reproduced with archival inks on high-quality, acid-free paper. Print is 22″ wide by 12″ to 14″ high.